Not to be confused with the upcoming Fall 2009 issue, which should be out around Halloween to early November. That’s Issue #5.2. I’ve learned I’ll be making my 4th appearance next year in Issue #6.2 — Autumn 2010. A long way off, but stay tuned to this spot. 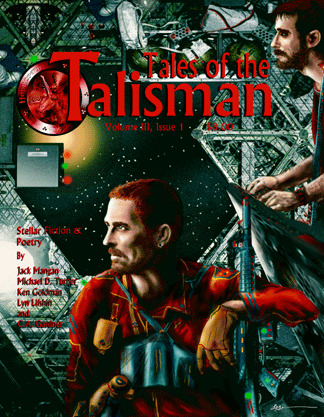 Tales of the Talisman. 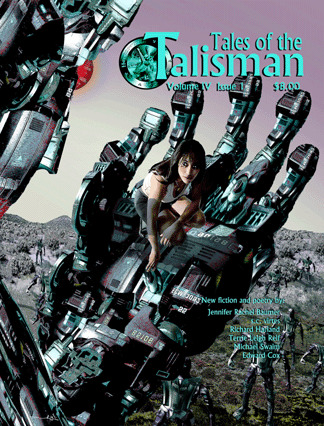 Edited by David Lee Summers, the magazine has been around for a number of years, features ten to twelve authors per issue, and is published quarterly. Annual subscriptions also available. Previous Issues which may still be available.